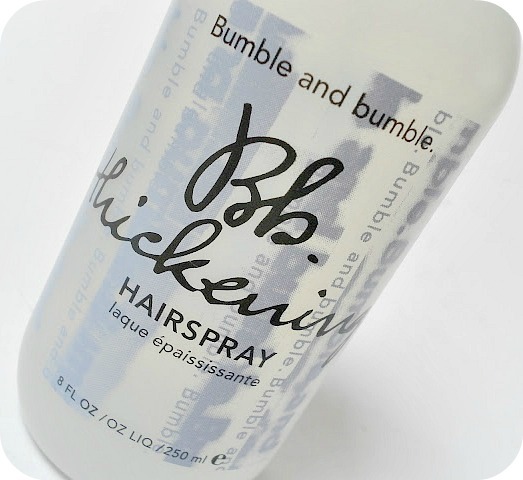 The Bumble and Bumble Thickening Hairspray is best suited to fine hair, however it can be used on any hair. It helps to achieve volume, and boy oh boy does it give me volume! The day this arrived, I actually watched a YouTube video where it got a very negative review. And when I posted a photo of it on Instagram, again I heard negative reviews. But when I used it, it was a completely different story. Winner of the In Style best beauty buys of 2012, this product is blooming wonderful! So how do I use this and how does it work for me? I spray this throughout my hair, more so towards the root area, when damp. I then either leave to dry naturally, or blow-dry (which is when I get the best results with this product) When blow-drying I will section my hair, usually in three sections, and blow-dry each section, paying special attention to the root area. Directing the heat of your hair-dryer at your roots will help boost volume, and when you team that technique with this product, the results are scrumptious. Yes, I just used scrumptious to describe volume. This doesn't leave my hair sticky, starchy or stiff. It leaves my hair with perfect volume that is long lasting and stays around all day. Not only does it stay around all day, but even when I stick my hair up at night, it's still there. When I wake up in the morning (and my hair is the kind that gets flatter, and lanker during the night) the volume is still there. I have literally never used a volume-enhancing styling product like this before and I don't think I could ever be without it now. I love you Bumble and Bumble Thickening Hairspray. If you want volume, this product is for you. If you have fine hair, this product is definitely for you. This retails at a little-bit-pricey £21.50 per 250ml, but in all honesty I see it lasting ages. I have used this practically every day for two weeks and it hasn't even made a dent in it! 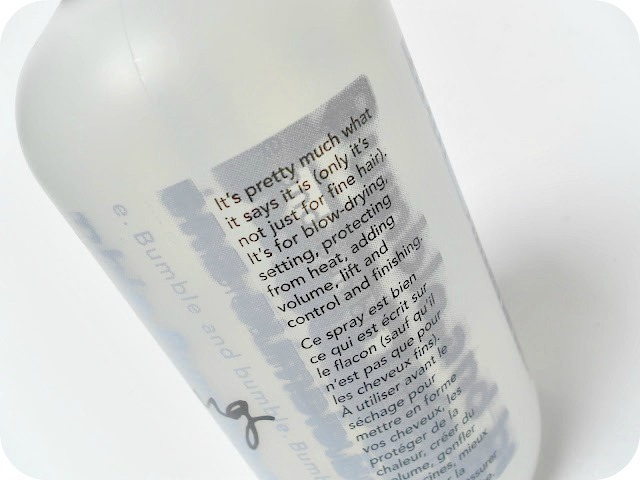 I love Bumble & Bumble hair products, their deeep mask is amazing! I've been seeing this everywhere and reading amazing reviews like yours. I need this in my life. Ooh this sounds lovely. Very expensive but I have very fine hair that really doesn't like volume so maybe it'll be worth the investment! I've been looking for a wonder volume product for ages and I think i've found it after reading your review! This is 100% on my list to try!